Great pubs and restaurants are situated close by in the villages of Castlebellingham & Blackrock, with the town of Dundalk offering a large selection of shops & leisure facilities. 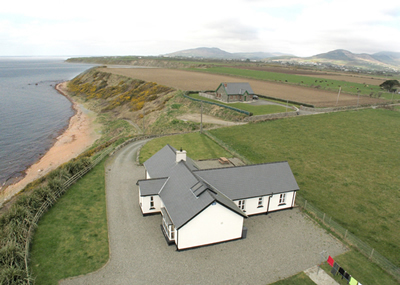 The location is ideal of golfing breaks with 9 excellent golf courses in the region including the world famous "Baltray" links. The area also offers excellent walking, cycling and angling. 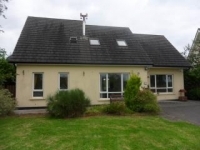 With the stunning Cooley Mountains to the north of the beautiful sandy beaches of Annagasan and Port to the south, Drummeenagh has it all..
for many reasons as you may know. 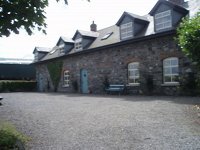 Two beautiful 18th Century stone cottages, completely refurbished to the highest standard in 2005. 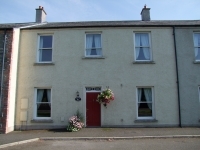 The cottages are called "Oriel Cottage" & "Tain Cottage"
The beautiful Drummeenagh House and Cottages are located just outside Castlebellingham one of the most picturesque villages in the area. With the Bellingham Church and wonderful collection of stone houses built in 1827 by the Bellingham family; also in Castlebellingham there are 3 pubs several shops & a thatched Tea House. It's just a 10 minute drive to the seaside village of Blackrock; where there is a great selection of Pubs & Restaurants overlooking the beach with breathtaking views of the Cooley Mountains. 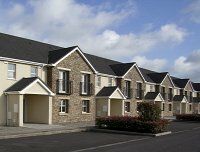 The nearest town is Dundalk, which boasts a large variety of shops, restaurants, nightclubs & leisure facilities. A 30-minute drive to the North brings you to the stunning Cooley Peninsula with majestic mountains rising out of Carlingford Lock. The medieval town of Carlingford with it's well preserved stock of historic buildings nestles between the mountains & lock. A fabulous selection of restaurants and pubs are dotted around the town. The famous Tain way walking trail covers a 40km circuit of the Cooley Mountains and there are many other walks to suit all abilities. The Tain Trail cycling route is the newest, largest and most historic cycling route in Ireland passing through Castlebellingham on its way to the Cooley Peninsula. 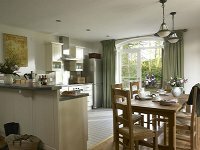 Popular local activities include: horse riding, angling, sailing and windsurfing. Historic sites to visit in the area include Mollifont Abbey, Monasterboice High Crosses & Round Tower & Knockabbey Castle & Gardens. The M1 is a short drive from Drummeenagh linking North and South (40 miles south to Dublin, 60 miles north to Belfast). The Neighboring county of Meath also has a rich heritage and beautiful scenery, with the Boyne valley and river,the famous Newgrange, Dowth & Knowth Neolithic passage Tombs, the magical Hill of Tara & Kells, origin of the Book of Kells. In the County Louth golf is a way of life. Louth has 9 courses, each with its own character. Starting in the North, set on the shores of Carlingford loch is Greenore golf club, an 18-hole championship parkland course. Dundalk club located in Blackrock also boasts a championship layout. This club has hosted many Irish championships. Ardee is also an excellent course that will test any golfer, whilst a little further south there is the 9-hole course at Townley Hall. Seapoint, designed by Des Smyth is fast becoming one of the top Links courses in Ireland and the world famous Baltray also known as the County Louth Golf Club is one of the top links courses in the world. There are also a number of excellent "Pay & Play" courses including Balymascanlon, Killin Park & Carnbeg.